Château La Tour de Mons is one of the leading Cru Bourgeois properties in the Médoc. It has a long and illustrious history and is named after Pierre de Mons, who purchased the estate in 1615. For several generations it has been owned and run by the Clauzel-Binaud family. 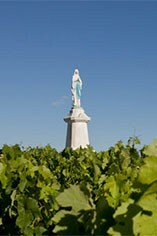 It is located in the Margaux commune of Soussans. The 35 hectare vineyard is planted with 45 % Cabernet Sauvignon, 40% Merlot, 10% Cabernet Franc and 5% Petit Verdot. The grapes are hand harvested and are then matured in temperature-controlled stainless-steel tanks. The wine is then matured in small oak barrels (30% new) for 12 months. It is bottled unfiltered. The wine is typically smooth, well-rounded and ripe and shows at its best with 5-10 years of bottle ageing. 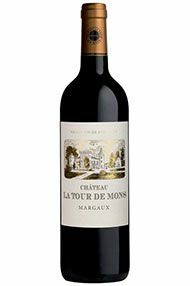 Margaux as a whole has performed brilliantly in 2010 and this little beauty could well end up being the best buy in this fabled commune. Lots of plump, juicy puppy fat all wrapped up in a tidy little bundle. It's really tasty for short-term satisfaction and will give a little bit extra for those who wait. A really enjoyable surprise.